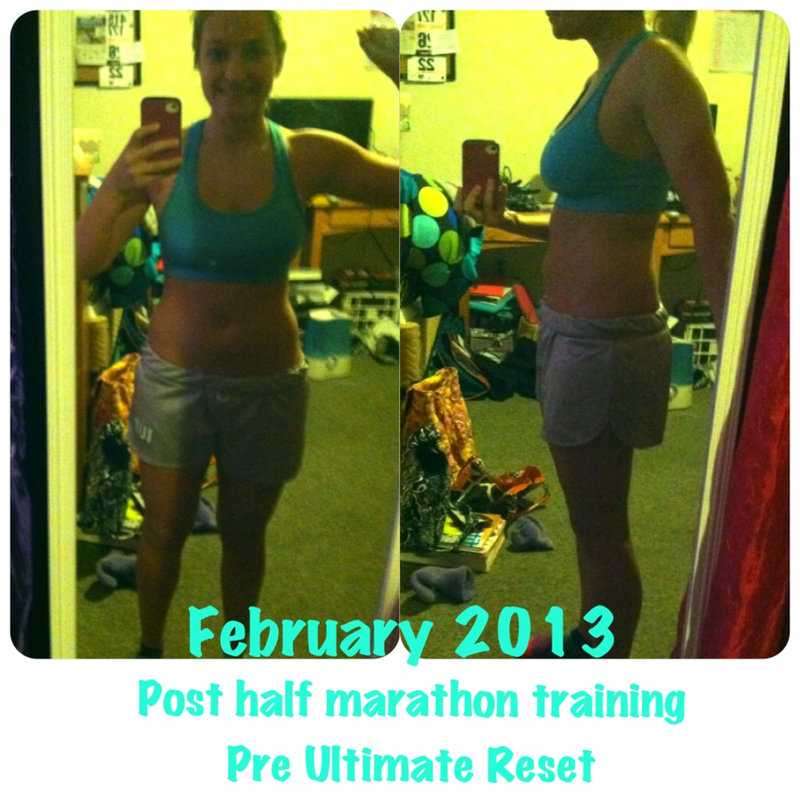 Today was day one of the Ultimate Reset!! Since I am going into this WHOLE experience, I didn’t really have too many expectations for what the supplements would be like, or how the food would taste. So I woke up and took the first of the supplements. I was a little scared ( not going to lie!! :x) So I took the three and i could actually swallow the pills!! yaya for me!! I HATE taking pills! 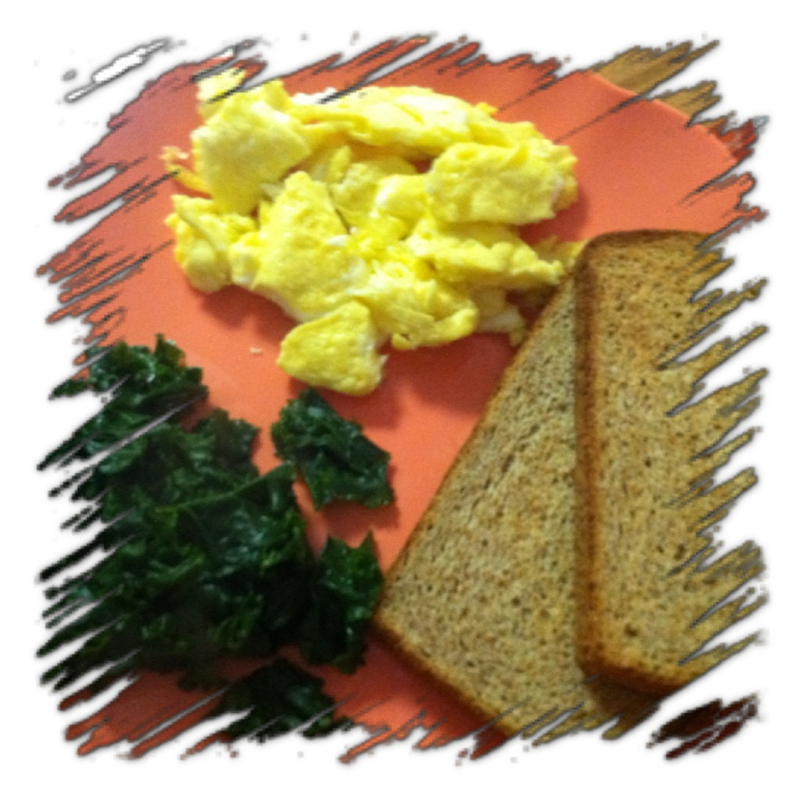 After breakfast I did some food prep. I washed, cut, and packaged in storage containers some of the vegetables. Looking back I with I would have taken the time to look at every meal for the entire week and just make everything so it was all ready to go. (I plan on doing that tomorrow) . Part of my prep process was taking my before pictures and measurements. Here are my pictures. 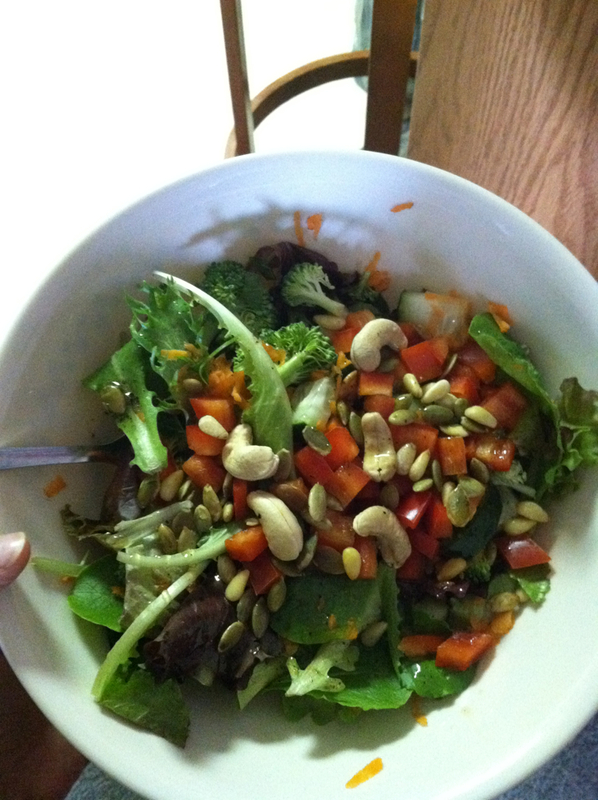 I just did a half marathon so this is basically post half marathon training and pre ultimate reset!! 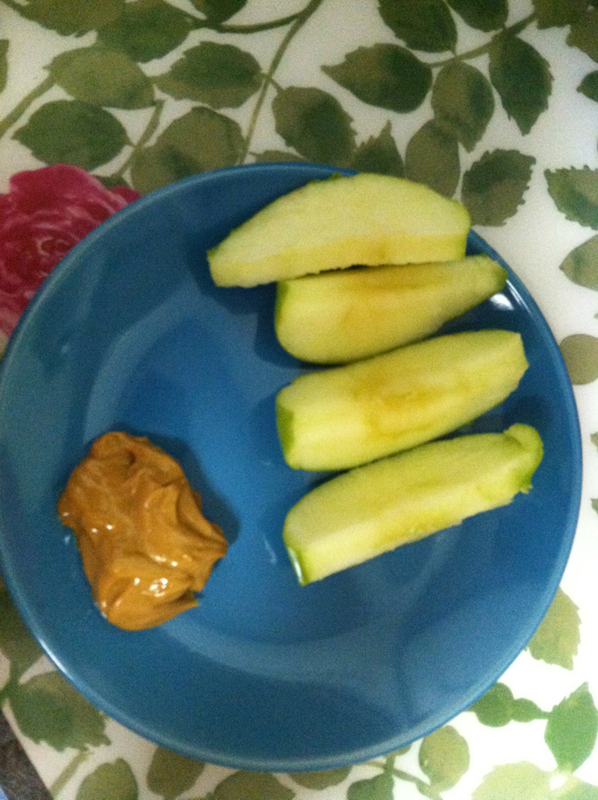 Day One: Snack, apple and some pb! 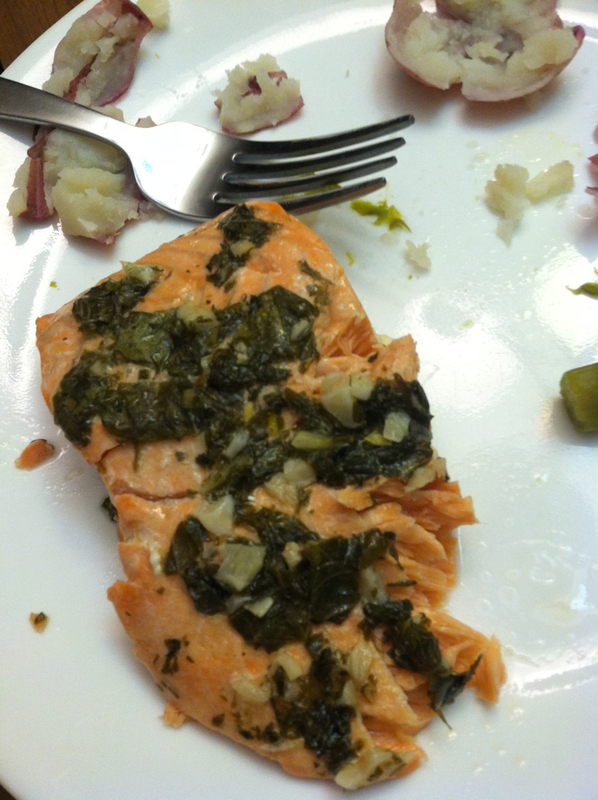 Day One Dinner: Salmon, asparagus and potatoes! I am really sorry I don’t have too much to say on the first day. It was SUCH a busy day overall though, and I am ready for bed!! Keep in tune throughout the next 21 days as I get more in depth with my posts!! 2015 Is Knocking! Are you ready to answer the door?